Cake lovers across Shropshire will be decorating, baking and icing next month as part of the Hope House and Ty Gobaith Eat Cake Week from April 8 to 15. Dozens of cafes, restaurants, schools, clubs, businesses and individuals have already signed up to take part including Natwest in Telford Town Centre are flying the flag for Eat Cake week. Jacobs in Shrewsbury and The Cottage Café in Ludlow are also working on their calorific cake sales. Bowring Park Cafe in Wellington have also signed up as have Madeley Court Hotel in Telford who will be having cakes at check in for their guests. The Hope House Bridgnorth Shop did an amazing job last year in their shop and raised over £200. They are hoping for a fabulous effort again this year and are ready for the shoppers on the 10 April with their Cake activity. 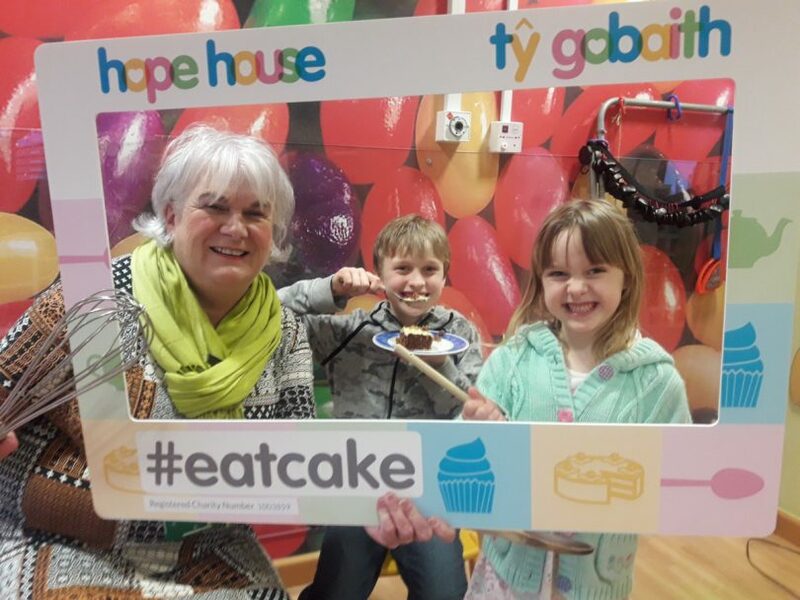 Last year’s Eat Cake week raised over £12,000 which enabled Hope House and Ty Gobaith to provide vital respite and end of life care to terminally ill children from across Shropshire, Cheshire, North and Mid Wales, and support bereaved families too. “If hundreds of schools, community groups, businesses and cafes join in the fun of Eat Cake Week we could smash our total from last year and that would be wonderful,” says Rachel Lewis. A special Eat Cake fundraising pack has been produced which includes banners, stickers, posters, cake flags and balloons to help you theme your event, and top tips on making it go with a bang! Children and staff at Hope House in Oswestry and Ty Gobaith in Conwy are already getting involved in the baking bonanza, and staff and volunteers in the charity’s shops in in Bangor, Denbigh, Llandudno, Wrexham, Chester, Nantwich, Bridgnorth, Church Stretton, Ludlow, Shrewsbury, Oswestry, Wellington and Welshpool are creating cake themed windows too. Anyone wishing to join the party is asked to call the Hope House Fundraising Office on 01691 671671 or go online to www.hopehouse.org.uk and claim your free Eat Cake pack!